Ok this post is dedicated to my best little bro Mr. Tumnis. Why you ask? Because after all these years of making fun of my “granola” ways, guess who gets to go live in granola-central for TWO years? Mmmm hmmm. Sweet, sweet revenge. So, Mr. Tumnis, this one’s for you. Maybe you should make it and then eat your words about my “granola-eating” obsession. 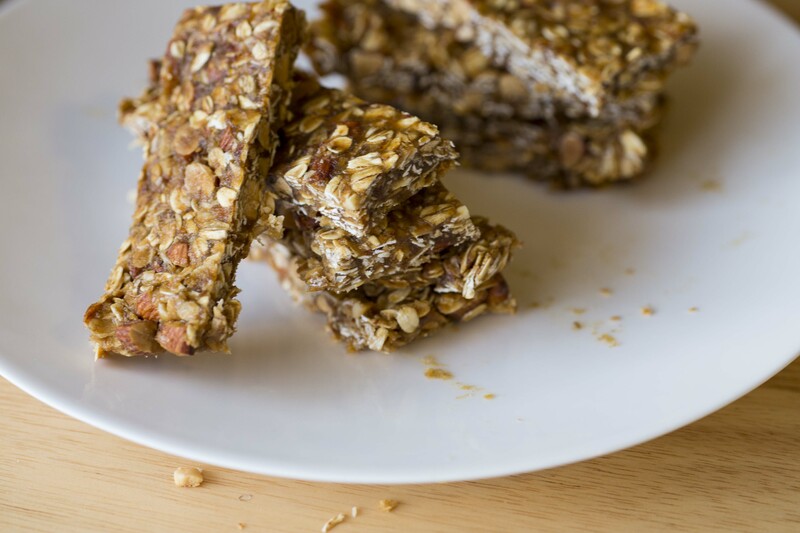 Or, just eat the granola bars because they’re that good. 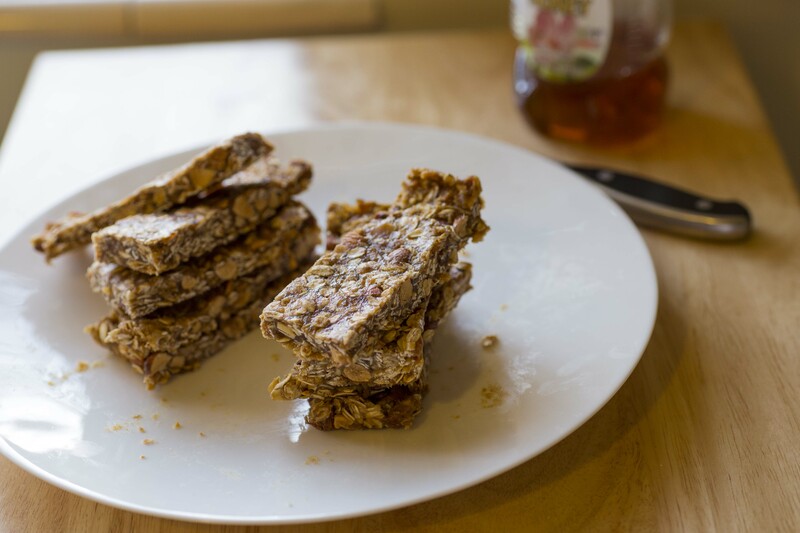 These granola bars are all-natural, packed with healthy, energy-boosting ingredients, and they make a dang good mid-morning, mid-afternoon, mid-evening, mid-night (you get the picture) snack. And the best part about these iddly-diddly little munchkins is that they are made with only FIVE ingredients. (Yes–that did deserve a caps and bold.) Plus, they are ingredients that you can actually pronounce! None of that hydrogenated, modified, corn-starchy crap. Thumbs up for that. In a food processor, blend the dates until they form a sticky paste and there are no more chunks. In a small saucepan, melt the peanut butter and honey until it forms a smooth consistency. 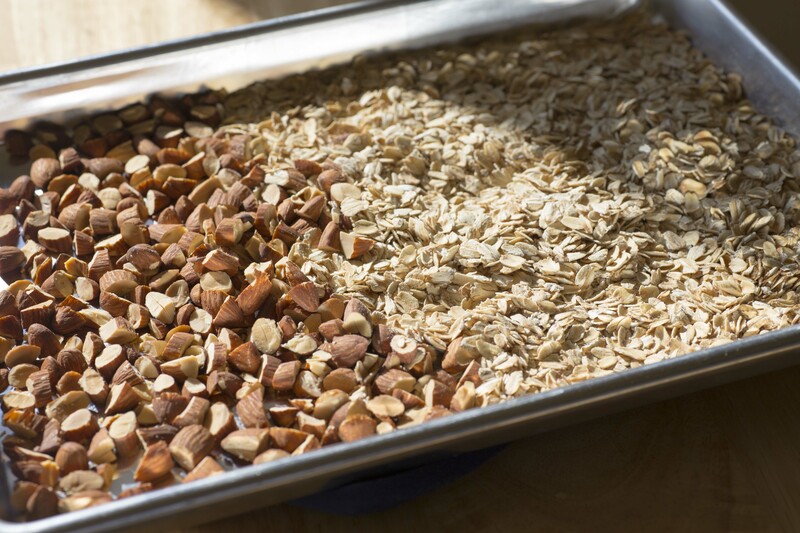 In a small bowl, combine the almonds, oats and dates. Pour the peanut butter and honey mixture into the bowl and mix very well, until the dates are no longer in a clump, and everything is evenly mixed. 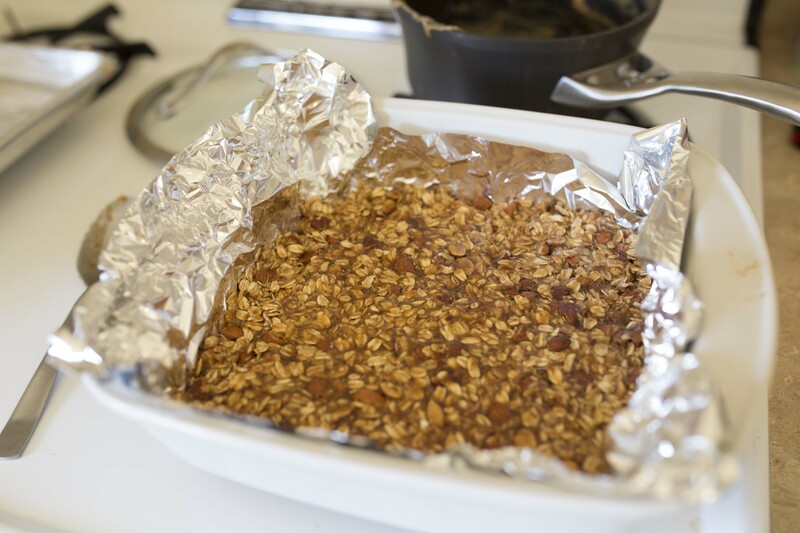 Cover a 8×8 baking dish with a layer of tin foil or parchment paper, and press the granola mixture into the bottom, until it is evenly spread. 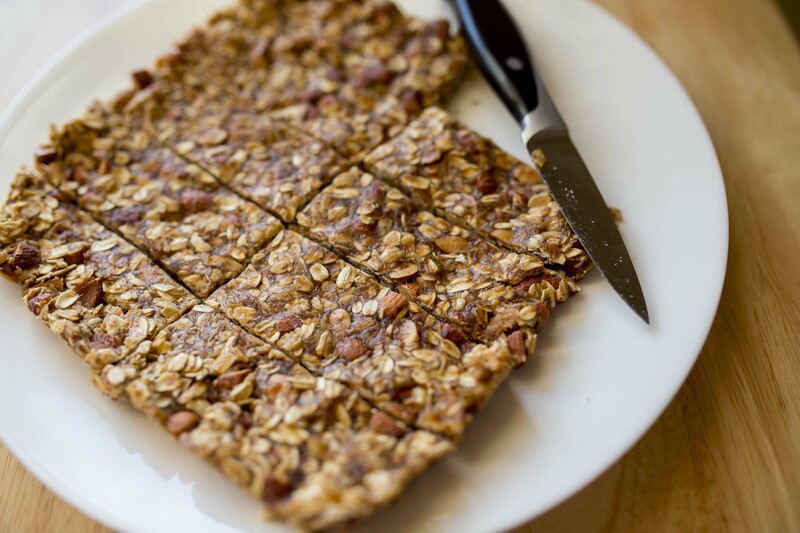 Cover and freeze for 30 minutes to allow the granola bars to harden. 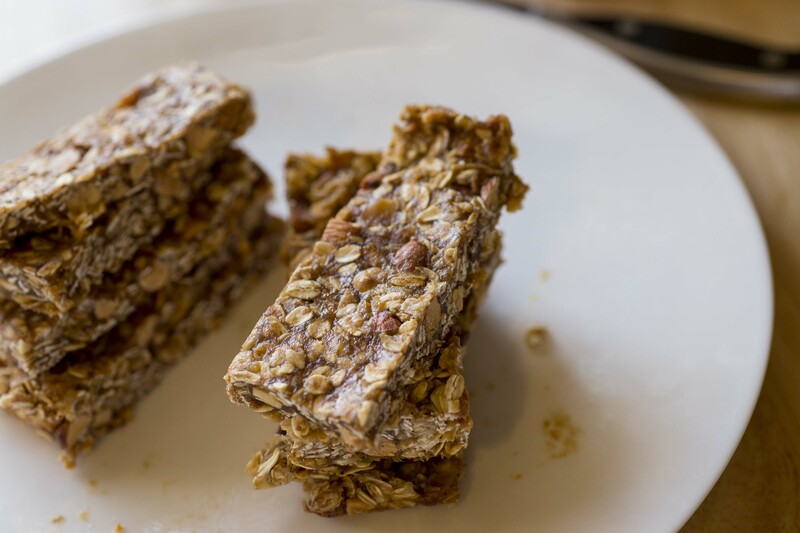 Cut into bars (should make about 10) and enjoy! 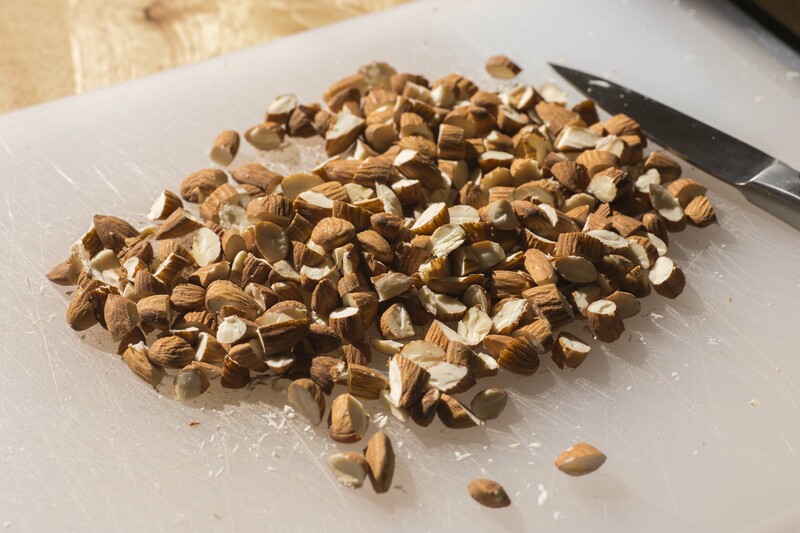 Note: These store well for a few days in an air-tight container, or keep them in the freezer for extra freshness. They thaw quickly! Sooo, I’ve had to learn how to eat on a budget. Buy food in bulk. Plan recipes for the week that have similar ingredients, so I can stretch things a little further. 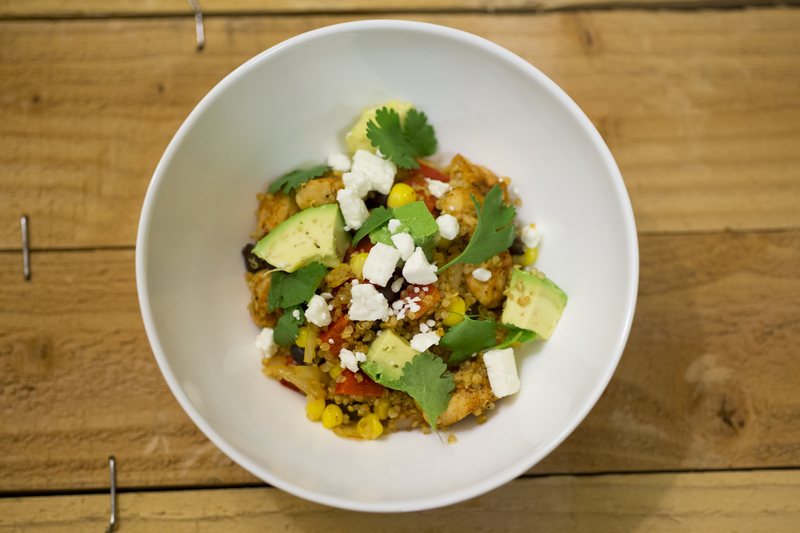 Combine garlic powder, onion powder, paprika, salt, pepper and 1/4 tsp chili powder in a medium bowl. Mix well. 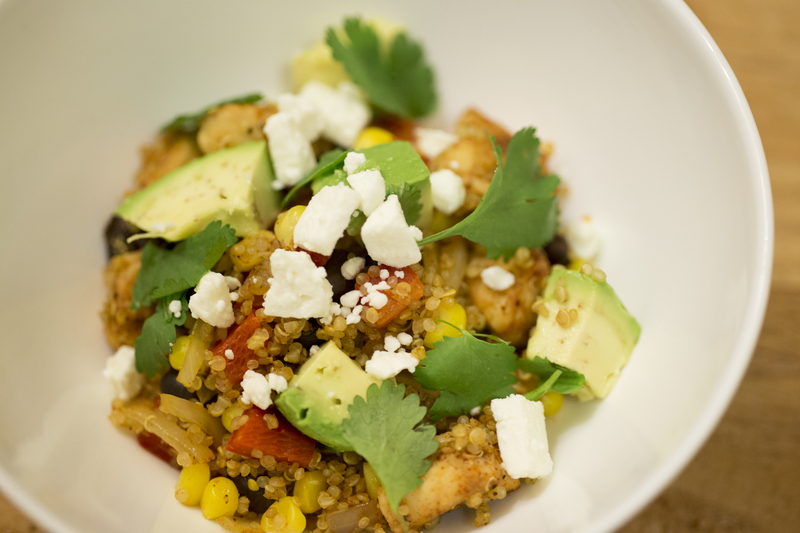 Cut the chicken breast into small cubes and add to the bowl, stir it around until it’s all covered in the seasoning. 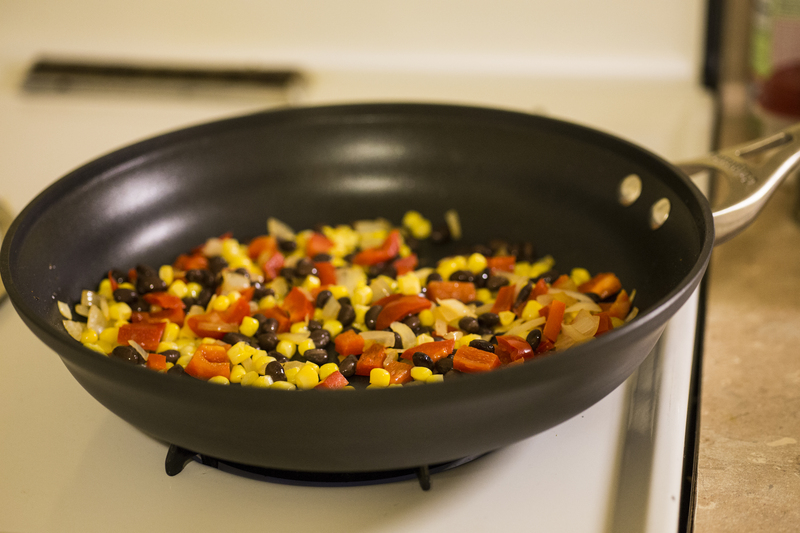 Heat some oil in a large skillet and add the chicken. Cook it on low heat until it’s white in the middle, about 5-7 minutes. Remove the chicken from the pan and add the diced onion and red pepper. Cook on low heat until they are soft. 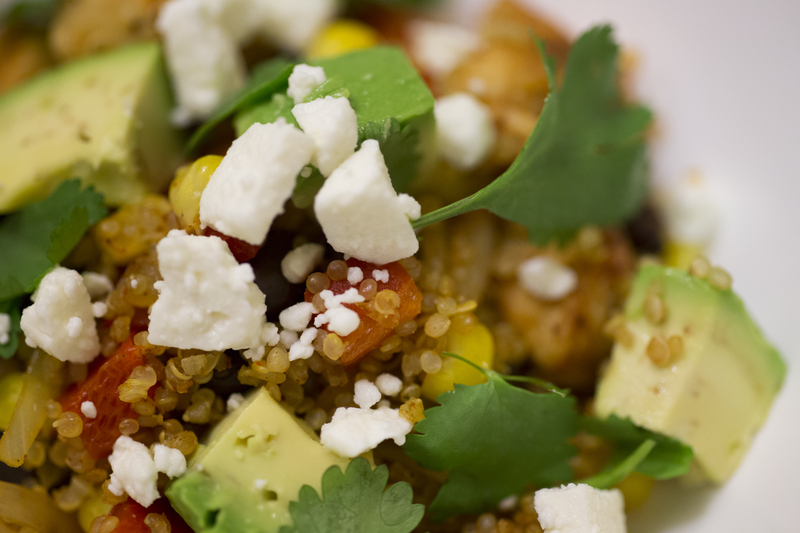 Add the corn, beans and quinoa, and allow to warm. Stir in the chicken and the rest of the chili powder. Add salt and pepper to taste. 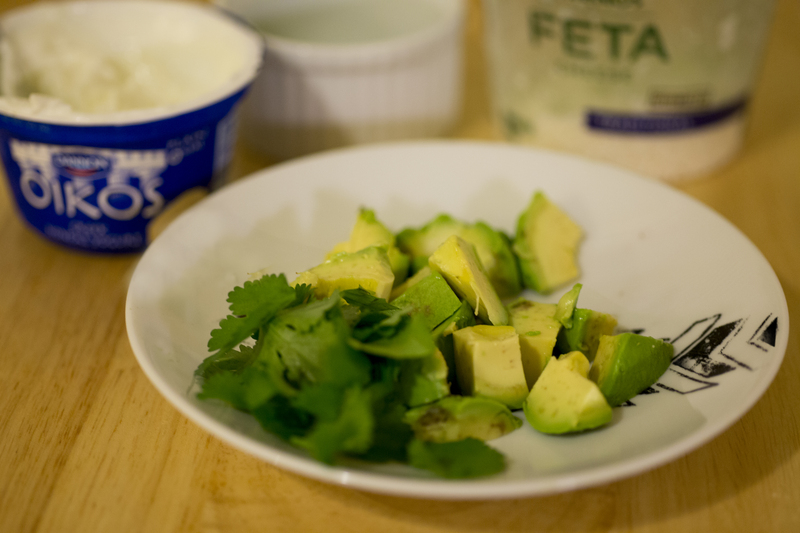 Garnish with cilantro, avocado slices, feta cheese and sour cream.